Control Panel | Products | Daikin Lubrication Products & Engineering Co., Ltd. 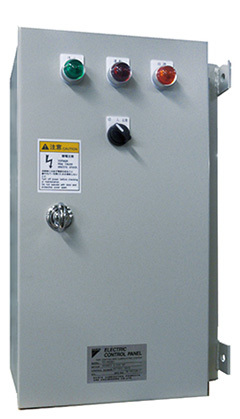 This electric control panel is used on the UE and U type motor driven grease pumps. This control panel ensures trouble-free operation of centralized lubricating systems, and centrally controls savings in factory manpower through automatic operation. • The pump is started automatically by the system timer and stops automatically when lubricating is completed. 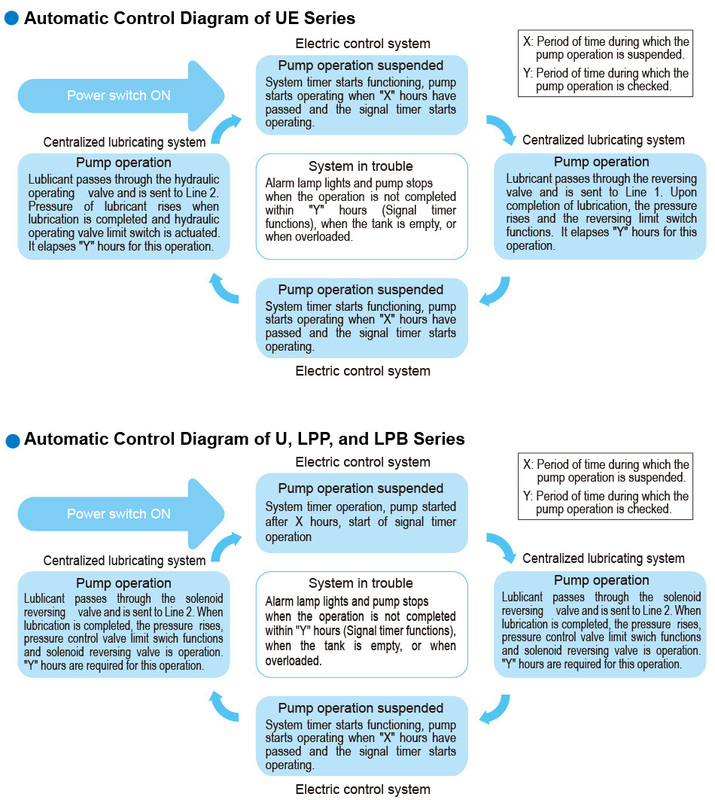 When an abnormality occurs, the operator is notified by lighting of an alarm lamp and pump operation is stopped at the same time. and is automatically stopped when lubrication is completed. automatically stopped when lubrication is completed. Automatic on-site operation is the standard mode for the electric control panel. Some models also support remote operation and remote display. • The EN type has a built-in automatic replenisher circuit that operates by a barrel pump. • For details on the EH type that has a built-in automatic replenisher circuit that operates by batch replenishment, ask us for materials. 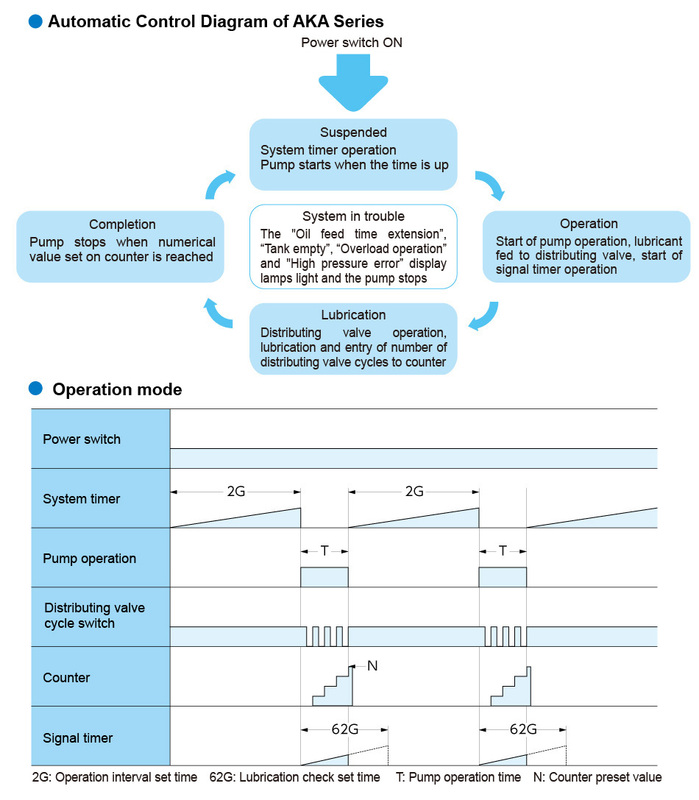 The following diagram simply illustrates the operating statuses of automatic operation. • Diagram of automatic controlling of end type system.